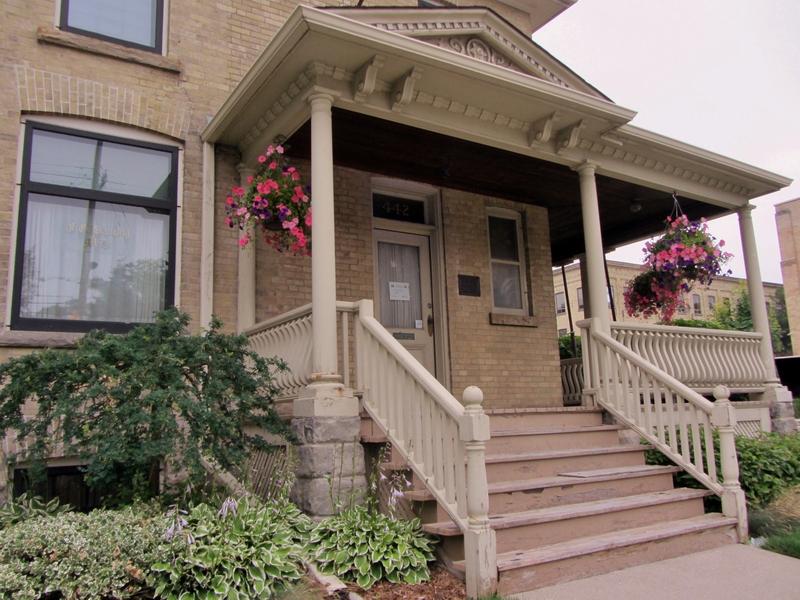 Hello and welcome to Banting House National Historic Site of Canada! 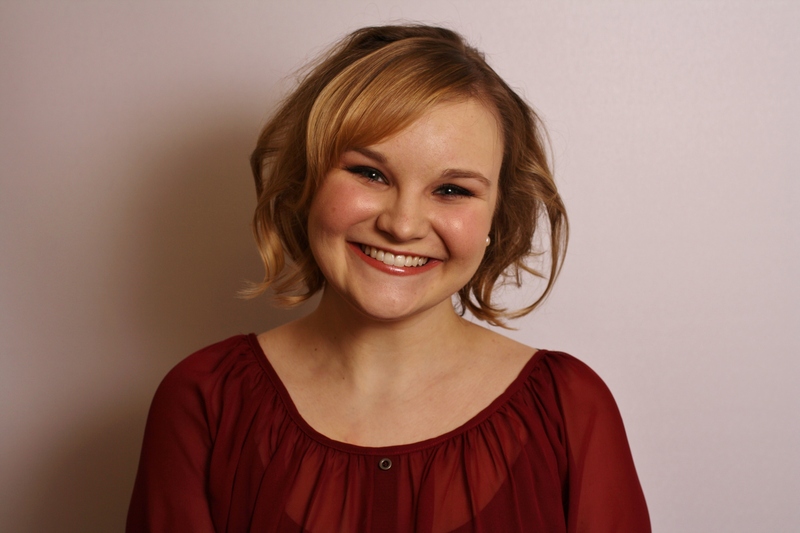 My name is Katrina Pasierbek and I am excited to be your online tour guide this summer as we explore the ‘Birthplace of Insulin’ together. When you walk through the doors of 442 Adelaide Street you enter into a historical treasure of London’s heritage and national pride. Take a step back in time with me to learn about a Canadian war hero, skilled painter, and internationally recognized figure: Dr. Frederick Banting. After completing my Honors Degree in History at King’s University College I earned a Bachelor of Education Degree from Western University. I am thrilled to be the 2013 Banting House NHSC museum intern where I hope to combine my passion for teaching and Canadian history outside of a traditional classroom setting. In the next few months I am excited to witness and share with you the inner workings of a National Historic Site of Canada. My first few weeks at the museum have been busy with tours and helping behind the scenes with the events Banting House NHSC has planned for the summer. Banting & Friends V was our successful fundraiser event held on Thursday, June 20th, 2013. 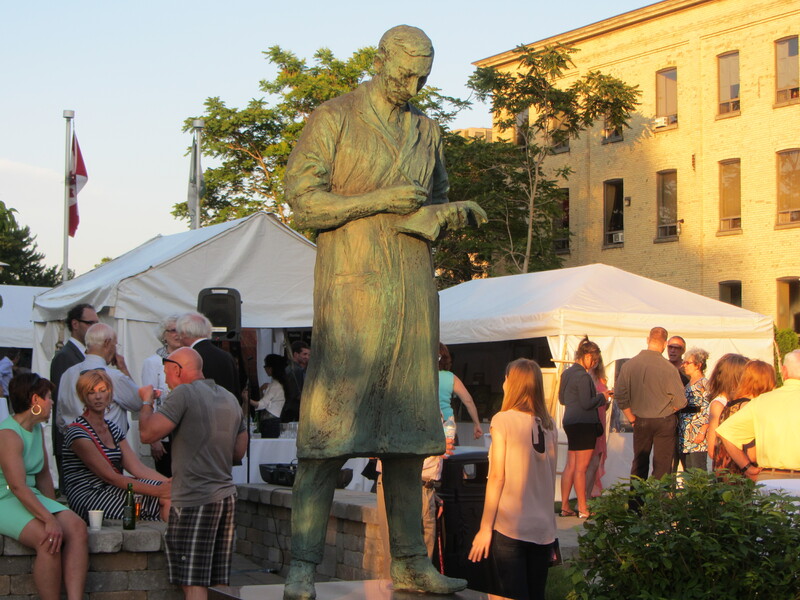 Our guests spent the evening admiring the talent of our five featured artists and enjoying chilled refreshments and a barbecue in Sir Frederick Banting Square and the Global Gardens. Did you know Dr. Banting was a decorated First World War hero? 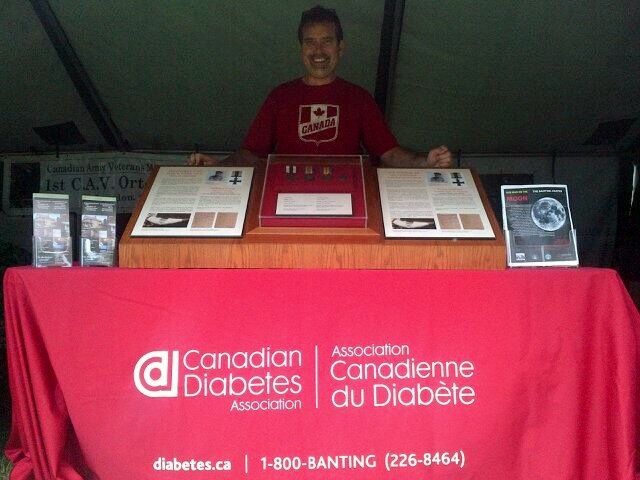 On Canada Day Dr. Banting’s Great War medals were on display in Harris Park as part of a Canadian Heroes exhibit for the ‘London Celebrates Canada’ festivities. Many people are surprised to learn that prior to the discovery of insulin Dr. Banting had been awarded the Military Cross by King George V for his bravery in the battle of Cambrai in September, 1918. The photo below has an ‘I’ve dropped my Blackberry too many times” quality, but we’ll say the grainy layer was completely intentional. curator of Banting House NHSC. Our next summer event is just around the corner. Dr. Banting is so cool that he is out of this world …. literally. 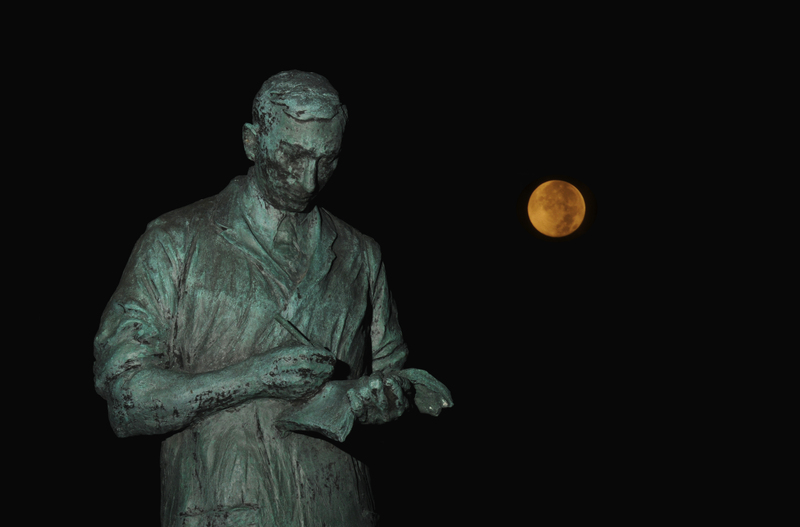 At a time when lunar craters were named for astronomers and astronauts Dr. Banting was the first Canadian to be recognized with this unique honour for his medical achievements. On Monday, July 15th, 2013 we invite the whole family to 442 Adelaide St. N. at 6:30pm to view Banting’s Crater for the 40th anniversary of the naming. Starbucks will provide complimentary refreshments and our museum will be open to explore free of charge. The evening is hosted by Banting House NHSC and the Royal Astronomical Society of Canada: London Centre, with assistance from Western University’s Department of Astronomy. That’s all for now! Please stop by, say “Hi,” and spend an afternoon this summer getting acquainted with our fourth greatest Canadian, Dr. Frederick Banting. Posted in Museum Happenings and Events.Tagged Art, Diabetes, Dr. Banting, Events, History.